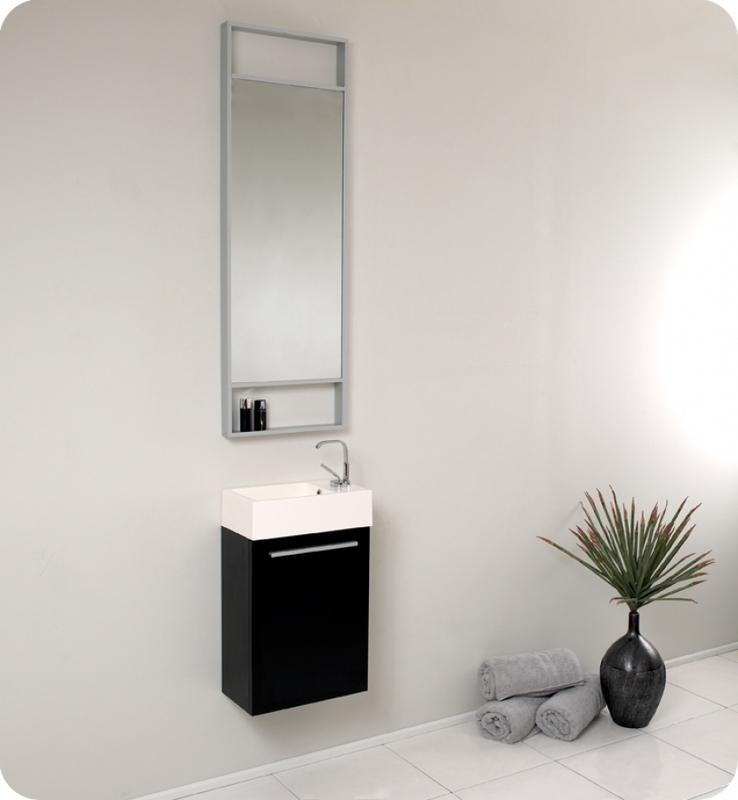 Clearance Item PICK UP ONLY - This functional black vanity is perfect for small bath spaces. Less than two feet wide, the vanity incorporates a sink and cabinet. Unit comes fully assembled, and faucet and drain are included.